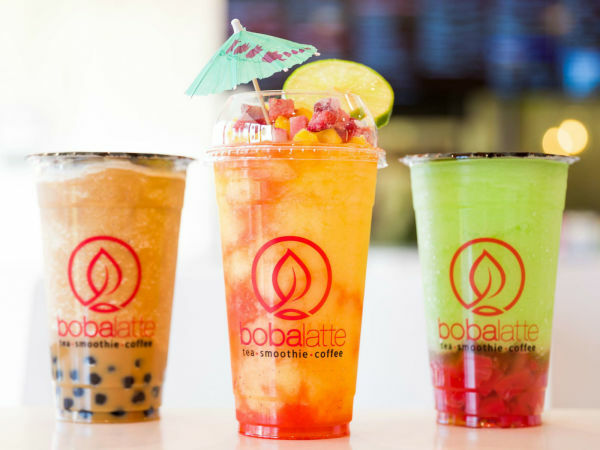 There are charitable events, and there are food events, and there are some events in Dallas that do both. But none does it quite as wacky as Meat Fight, which just raised $100,000 for the National Multiple Sclerosis Society through its annual barbecue competition. 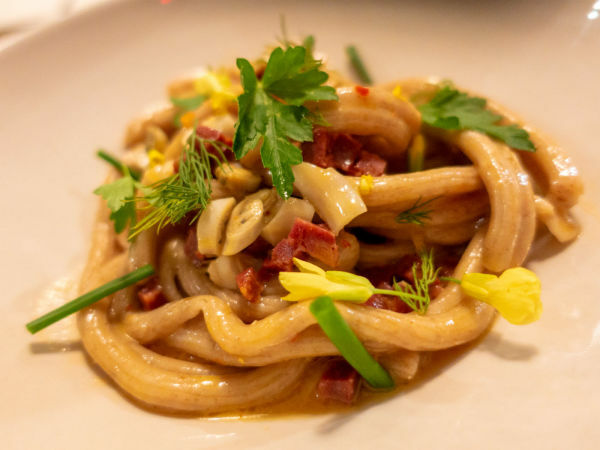 This year, in addition to miles of meat — and the longest Texas-smoked sausage in Texas, courtesy of Brian C. Luscher — there was a game-filled Meat Midway, Meat Mystics telling meat fortunes and meat-dusted cotton candy. Fans, undeterred by the rain and cold, were determined to savor every last bit of barbecue, as well as pastries from Swiss Pastry Shop, bacon doughnuts from Hypnotic and Four Corners beer. Thankfully, Noble Coyote was pouring hot coffee, and samples of Knob Creek bourbon also helped VIPs combat the cold. 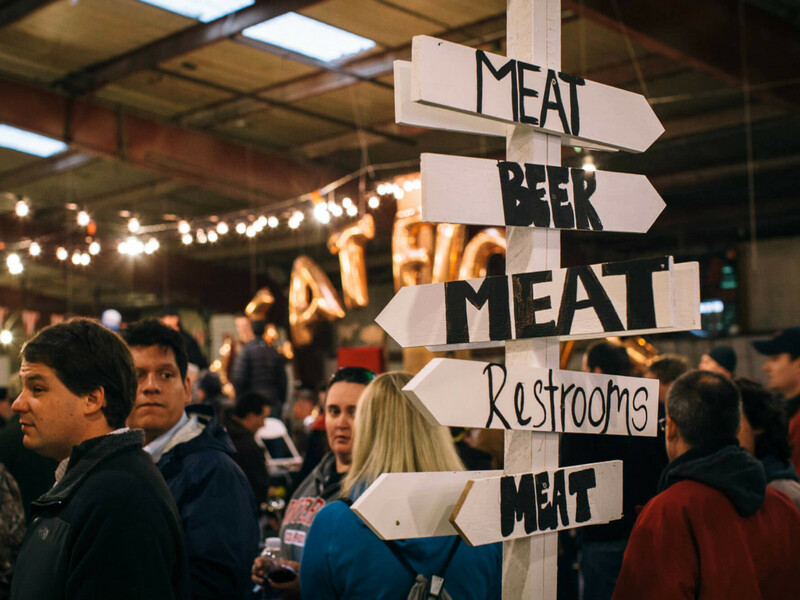 Meat Fight is now in its third year as a public fundraiser; technically it started in 2010 in founder Alice Laussade's backyard before moving to a "real" venue in 2012. 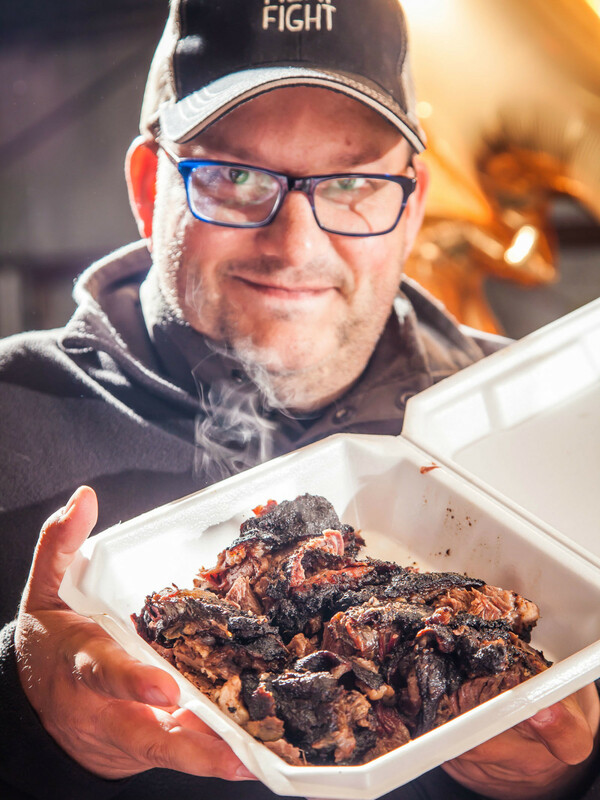 This year, four teams composed of top Dallas chefs — including Chad Houser, David Uygur, Eric Dreyer, Danyele McPherson, Janice Provost, Brian Zenner, Nathan Tate and many more — competed for bragging rights in categories such as brisket, pulled pork and sausage. 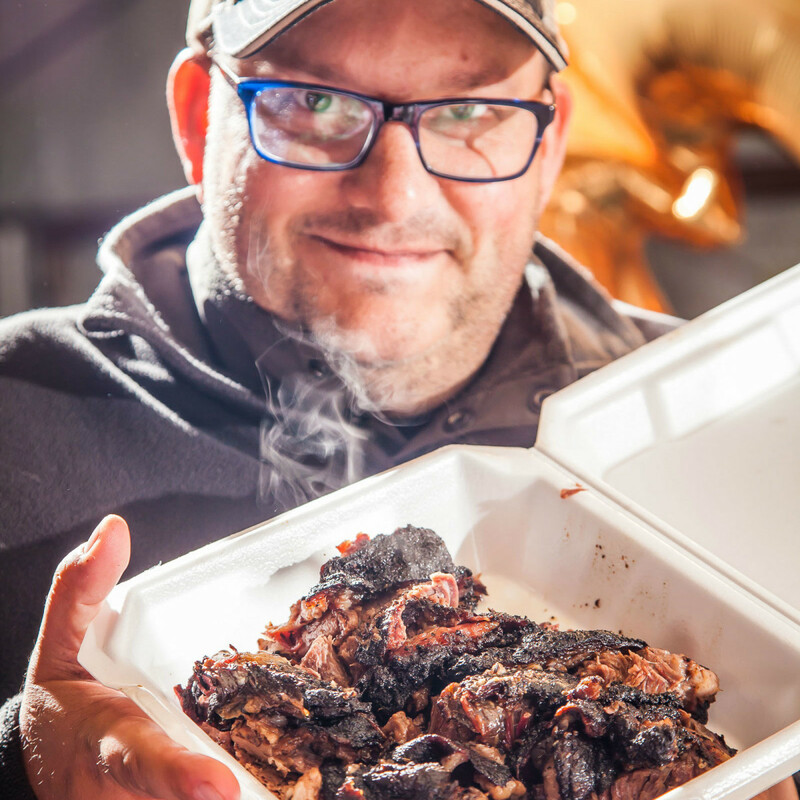 They were judged by pitmasters like Aaron Franklin, Justin Fourton and Nick Pencis, as well as Texas Monthly barbecue editor Daniel Vaughn. 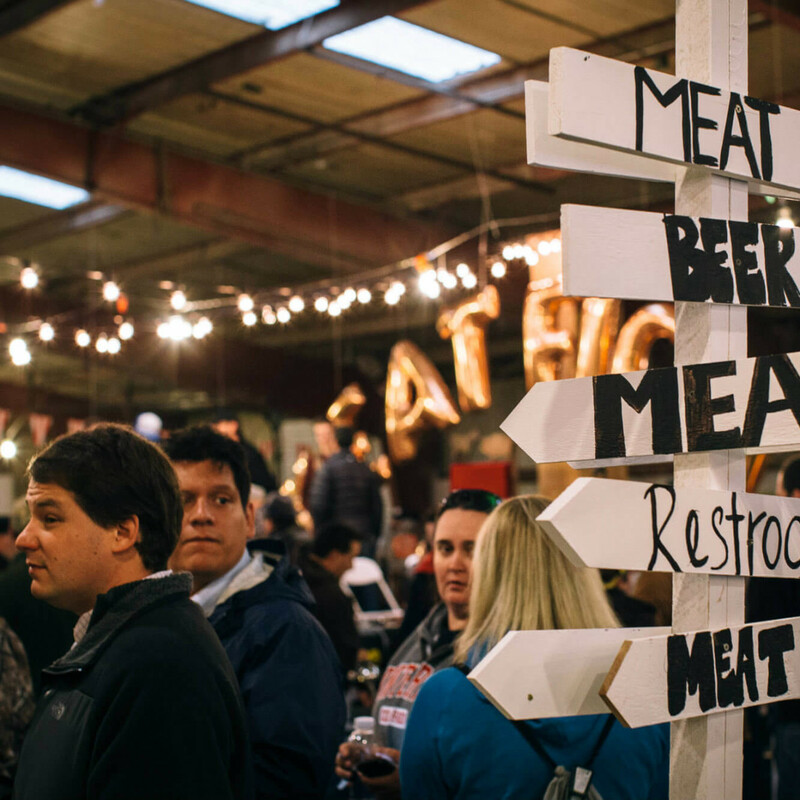 Every year Meat Fight gets a little bigger — from 250 in 2012 to 500 in 2013 to 750 this year at the Green Warehouse near Trinity Groves — and the proceeds rise accordingly. Thanks to ticket sales, raffle and live auction, the event doubled the take from last year. A portion of those proceeds, Laussade says, will help fund an original bike program with the National MS Society called Operation: Meat Bike, through which they will donate bikes to people who have been diagnosed with MS, because regular cardio has been proven to decrease symptoms. The remainder of the money will be donated directly to the National MS Society to help with research and programs and, ultimately, to find a cure for MS.